The next general overseer of the Church of God is ready to lead from a global perspective. Most who know Rev. 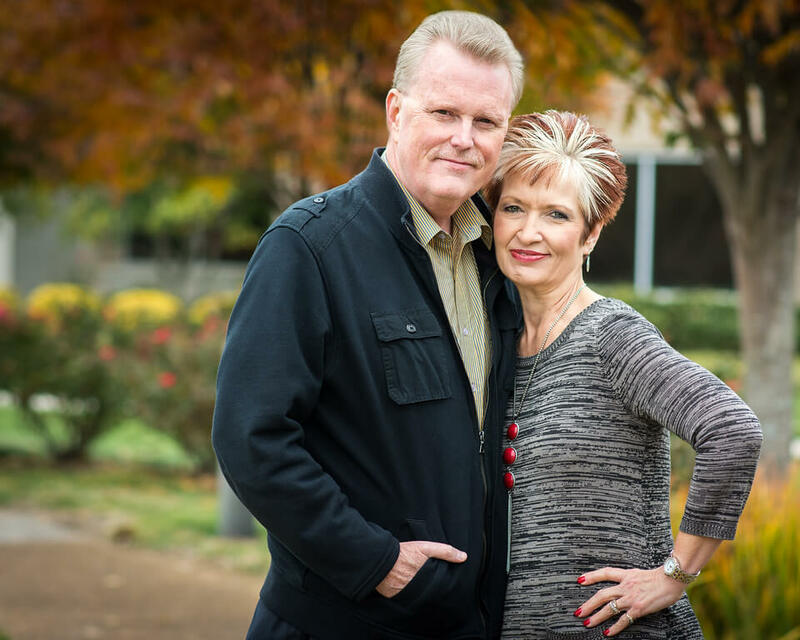 Tim Hill are acquainted with the leadership posts to which he has been elected or assigned: pastor, state overseer, International Executive Committee member, and director of World Missions. But the depth of Tim Hill goes beyond his impressive Church of God resume. Tim Hill’s roots lie deep in the heart of Texas, gospel music, and family. He was born in Levelland, Texas, where his father was a pastor and he was saved at the age of seven. For relaxation, Brother Hill loves the mountains and fishing. His passion for Southern Gospel music began at an early age. He recorded his first song at age 16 and since then has been involved in 23 recording projects and authored more than 150 gospel songs. His accomplished musical career has taken him across the country where he has ministered in song to thousands in concerts and church services. One of his recordings, “He’s Still in the Fire,” was voted as Song of the Year in 1991 by Christian Voice Magazine. He will tell you his first love in life is Paula, his wife of 37 years. Paula also grew up in Texas where her father was a carpenter and built the Church of God state parsonage in Weatherford. They married in Fort Worth in 1979 two years after Tim received his license and launched his ministry at the age of 17. From 1982–1984, the Hills, now a family of three with the addition of Melinda Marchelle in 1981, pastored in Keller, Texas, and Tim served on the Texas State Youth Board. In 1986, he accepted his first state-level appointment from the Church of God when the Hills moved to Arizona to become the Youth and Christian Education director. On the last day of that year, their second daughter, Brittany Danielle, was born. The third of their three daughters, Tara Lanae, was born four years later in 1990. Today, those daughters have given Paula and Tim three grandchildren, including one that is due next week. The period of 1989–1996 was a pivotal time in Tim Hill’s ministry as he led the Riveroak Church of God in Danville, Virginia, as senior pastor. In those seven years, the Riveroak Church experienced tremendous growth and outreach, and his leadership further galvanized his prospect for future leadership in the Church of God. An appointment to Oklahoma as state overseer would come from the Executive Committee in 1996, the same year he was first elected to the Council of Eighteen. In 1999, he accepted an appointment to lead the Church of God in Southern Ohio as state overseer. It was at the International General Assembly of 2004 when Tim Hill was elected to the Church of God International Executive Committee as secretary general. He would serve for two years in that post until being elevated to second assistant general overseer in 2006. Two years later the International General Assembly would confirm his nomination to first assistant where he would serve out his eight- year tenure until 2012. While first assistant, Tim Hill gained valuable knowledge as the liaison to the Division of World Evangelization—a role that would prove invaluable as preparation for the next period of his life. The new general overseer feels his time with World Missions has prepared him for what lies ahead in his ministry. Since 2012, he has endeavored to visit all field areas as defined by the Church and has traveled to over 100 countries in doing so. Under Hill’s leadership, World Missions undertook several programs and challenges, among them Marcelly’s Dream, Israel Initiative, and perhaps most compelling, the FINISH Challenge. In a recent issue of the Evangel, Hill announced the commitment to expand the FINISH Challenge to the FINISH Commitment; an incentive he plans to carry with him into his new leadership of the entire denomination. Tim Hill believes strongly that although pastors and other church leaders play a key role, strong leadership in reaching the lost comes from laypersons, students, and local church leaders.